Bodegas Viña Vilano has chosen the popular fair in Dusseldorft, ProWein 2018, to present its wine innovations. 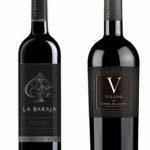 Bodegas Viña Vilano has chosen the popular fair in Dusseldorft, ProWein 2018, to present its wine innovations: two new references that will complete this winery highly qualified offer of excellence, surprising elegance and classic sobriety (as it is already shown in many wines of its current portfolio). 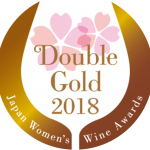 This launching, whose details will be kept secret until Prowein 2018, means the ending of a hard working period lead by its winemaking team who attends this appointment being aware of the outstanding product they got. Prowein is the most important international event of the sector and it will be key for Bodegas Viña Vilano which main objective will be to continue consolidating its prestige in German market and in the rest of territories where Viña Vilano means quality. A total of 58,500 trade visitors from 130 different countries attended ProWein last year. In 2018 The exhibition, will cover an area around 71,000m2, which is around 2,000m2. According to Marius Berlemann, who is the global head wine and spirits for the exhibition, ProWein has grown due to an increase in the number of exhibitors as well as the addition of a new space and significantly, the entire 71,000m2 is already fully booked. Comprising around 6,800 exhibitors, the number of stands at the show is also at its greatest extent ever.